We want you to know sleep, so we provide on-demand training to develop and enable you to be an informed member of the sleep-patient care team. We know you're crazy busy so by providing our training on-line and on-demand we can make interesting CPD fit around you. With access to all the above, again and again, whenever you choose, we're confident you will KnowSleep™. (FYI course enrolments do expire after 12mths) but your membership of the Facebook group remains. By training How and When to provide this increasingly popular therapy, you become eligible for professional indemnity insurance cover from both the DDU and DPL, because the curriculum has been created in-line with the Association of Respiratory Technology and Physiology's Standard of Care document for Mandibular Repositioning Devices content requirements. All courses enjoy ongoing support in a private FaceBook group and we periodically schedule interactive webinars with interactive FAQs. The complete KnowSleep™ Academy meets the criteria set by the GDC for 7 hours of Enhanced and Verifiable CPD. The KnowSleep™ Academy has been created in line with the requirements of NHS England's Information Standard and upon completion, all students with a GDC number, will be posted a paper Course Certificate, stating the Course Aims, Objectives and Enhanced CPD credit earned (7 hours). We're confident you’ll be delighted with the KnowSleep™ Academy, so we offer a “30-Day Money-Back Guarantee” to ensure your satisfaction. If for any reason you wish to discontinue using the KnowSleep™ Academy, we will promptly issue a refund. Simply contact Adrian contact@snorer.com about our 30-Day Money-Back Guarantee. Continuing Dental Education, at your own pace and schedule, with enhanced, verifiable learning credit. On-demand e-learning, giving you the freedom to learn at your own rate, how to provide anti-snoring devices. KnowSleep Academy™ - Learn at your own rate, how to screen and treat snorers, safely and effectively. Why anti-snoring devices are the next 'big thing', how to be a part of it, sizing the opportunity, the 4 typical scenarios. What sleep apnoea is, why you cannot diagnose it, how to help snorers and those who need further investigation. A refresher, assessing sleepiness, treatment options, dental signs & symptoms - the necessity for teamwork. Including practicing safely and legally, what to do when you receive a referral, communication and record-keeping. "In summary; a well-organized, thorough online learning tool!!" 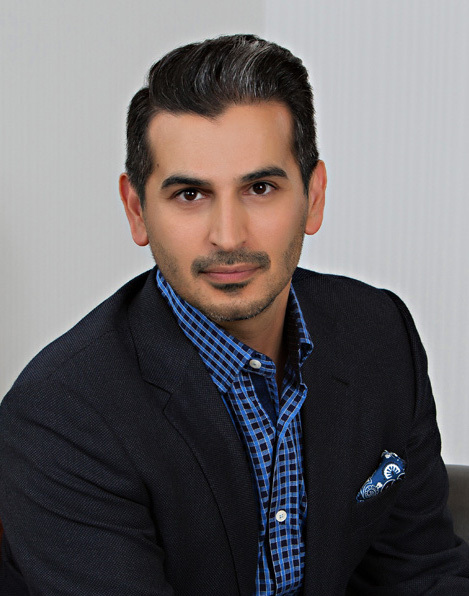 Dr Shouresh Charkhandeh DDS Recipient of the “2012 & 2015 Clinical Research Award” and “2015 Clinical Excellence Award” from the American Academy of Dental Sleep Medicine (AADSM). Dentists, GPs and members of the dental team. The course is specifically aimed at dentists. However, we would also encourage members of the dental team to enrol, because we recognise the vital role they play encouraging snorers (and their partners) to take action. 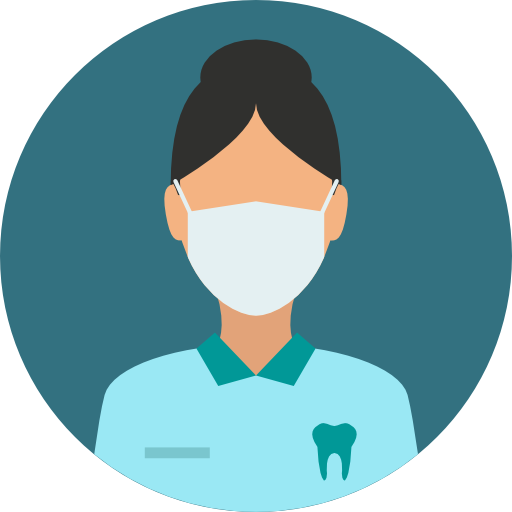 "...interesting to expand my knowledge into a new area of dentistry..."
The nature of Academy training content is dental/medical professional, clinical and technical. It is not suited for the lay person. You need to be online.... 😉 we suggest you use Google Chrome specifically for the webinars - other than that, choose whatever you like: phone, iPad, PC etc. The first two chapters are entirely free. The Snorer.training KnowSleep™ Academy as a whole is £179 GBP which we consider compares favourably with other courses, especially when you factor in our whole of market perspective, relevance and convenience. Will I get my money back if I drop out? We're confident you’ll be delighted with the Academy, so we offer a “30-Day Money-Back Guarantee” to ensure your satisfaction. If for any reason you wish to discontinue using the Academy, we will promptly issue a refund. Simply contact Adrian contact@snorer.com about our 30-Day Money-Back Guarantee. See Terms. And the evidence-based Principles and Requirements of UK England's NHS Information Standard. Who can screen for OSA? The UK specific course will teach you how to screen for Obstructive Sleep Apnoea (OSA, when to provide MADs, and when to refer for further investigation. Screening ensures you stay indemnified by DDU and DPL who both have position statements re MADs. FYI. The British Society of Dental Sleep Medicine's Pre-Treatment Screening Protocol as published in the BDJ was instigated by the Snorer.training course instructor: Adrian Zacher. Yes! One of the great things about taking an on-line course is that you can start at any time. Begin when you have 5 minutes and pick it up again later. See our full FAQ or drop us an email: hello [ at ] snorer.com. When you're an Academy student you can also post a question in the private Academy FaceBook group, start a discussion here, or drop your Instructor a direct email to arrange a time for him to call you back. We're here to help you learn. I am NOT a dentist. I am however, an inventor, author, business consultant, car enthusiast, amateur cook and Dad! It was while working as a dental technician (1994) that I first became interested in snoring and obstructive sleep apnoea (OSA). The following year, I went on to pioneer the first specialist dental sleep medicine laboratory in Europe: Zacher Sleep Appliances (ZSA). I ran ZSA for over a decade and I have personally made just about every anti-snoring device available. While running ZSA, I began teaching (both IT and Dental Technology) and I co-founded (former CEO) the British Society of Dental Sleep Medicine (BSDSM) with Dr Roy Dookun BDS. I instigated the BSDSM's Pre-Treatment Screening Protocol, to empower UK dentists to screen for sleep apnoea (OSA) and safely provide anti-snoring devices for benign snorers, i.e. without a prior medical diagnosis. Dr Dookun, and I lectured widely across the UK for the next decade, as dental sleep medicine began to become more accepted by the medical profession. Later, I consulted to ResMed, (a global sleep-related breathing disorder company) and advised them to acquire a Mandibular Advancement Device manufacturer (Laboratoires Narval). I introduced their MAD to European and N. American markets. Today, as founder of Snorer.com I aim to help snorers directly: Our award-winning, patient information guides provide a jargon-decoded way to understand snoring and sleep apnoea, and the proven treatment options. (They're NHS England's Information Standard accredited). While my invention of anonymous sleep apnoea testing, enables people to test without fear of either falling asleep at work or risking their family's financial survival. A published author, I recently completed the 2018 chapter update for Carranza’s Clinical Periodontology "Sleep Disordered Breathing" and until quite recently I was a Trustee of the Hope2Sleep Charity for Sleep Apnoea. Easy to use resources – whether you prefer written words, on-demand video or live webinars with Q&As, useful evidence-based content has been created for you. Professional education designed around you. Pick it up during lunch, in the evening or over the weekend. You can dip into ~25 years knowledge whenever convenient. We’re not tied to any MAD manufacturer or therapy provider, so your Enhanced CPD is well... enhanced! Having a broad knowledge means that you’ll be well-placed to prescribe the most appropriate MAD for your patient. The Complete course - Learn at your own rate, how to screen and treat snorers, safely and effectively. Including, Why anti-snoring devices are the next 'big thing', how to be a part of it, sizing the opportunity, the 4 typical scenarios. Chapter 2 (UK) Don’t Fix their Snoring! This is the internationally applicable on-demand dental sleep medicine training course. 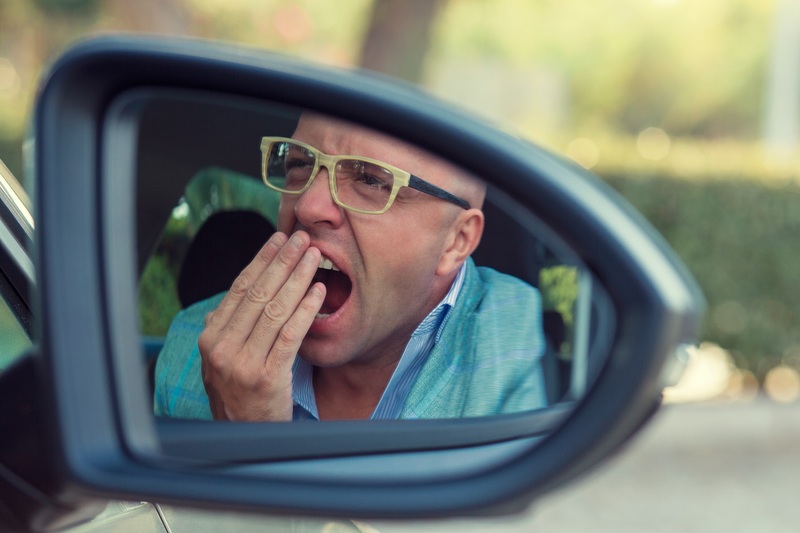 Start today to learn how and when to manage snoring and sleep apnea patients. A short and personal account (90secs) of how Adrian first became interested in obstructive sleep apnoea, and dental sleep medicine in particular. He shares this now, in the hope that you too, can experience the satisfaction of helping patients with such fundamental needs.